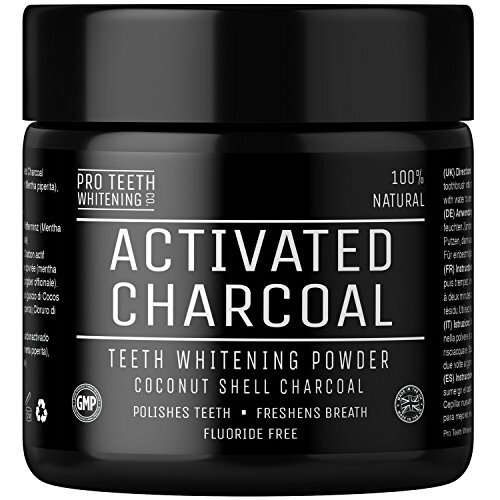 ALL NATURAL HIGH BLEND GREY COCONUT ACTIVATED CHARCOAL – We have used the highest spec coconut charcoal – this gives the grey appearance. 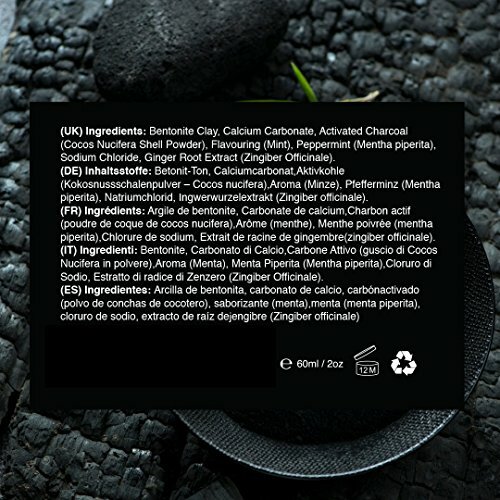 We have also mixed this with Bentonite Clay for added hygiene and dental cleaning effects. Be careful with all black charcoal as this may scratch enamel. 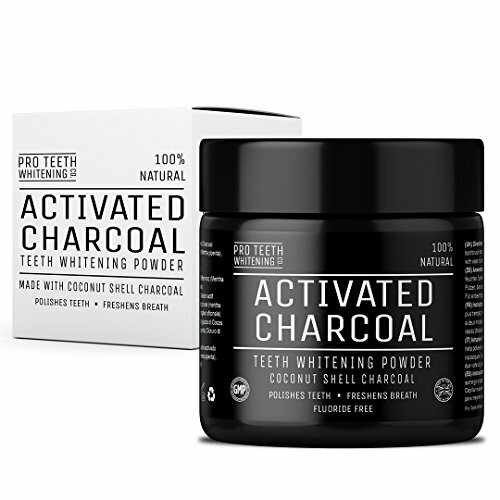 No.1 BEST SELLER * ACTIVATED CHARCOAL WITH BENTONITE CLAY * This high purity charcoal has been sourced specifically for it’s teeth whitening properties. The powder is fine so it does not scratch the teeth instead only removing surface stains. 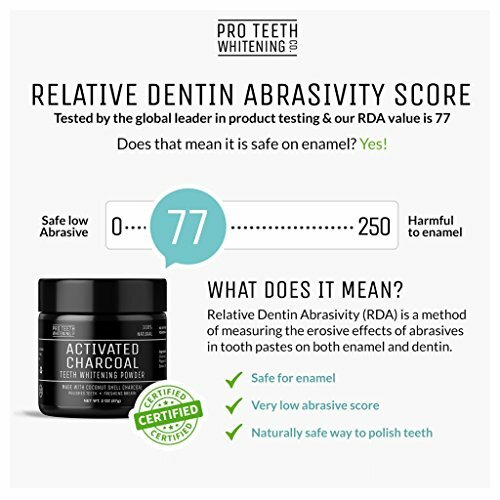 ALL NATURAL & TRUSTED – RDA tested and proven to not damage teeth enamel. All natural ingredients and made in the United Kingdom. 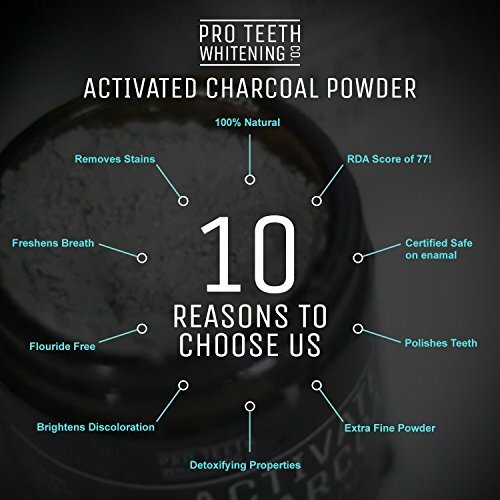 Pro Teeth Whitening Activated Charcoal Natural Teeth Whitening Powder NON Synthetic & NO Chemicals | More Effective Than Strips , Gels & Most Tooth Whitening Kits | 100% No Questions Asked Money Back Guarantee | Manufactured in the UK Our ProTeethWhiteningCo Activated Charcoal Removes stains and discolouration from the surface of your teeth to significantly whiten and brighten your smile. It’s 100% natural & vegan friendly. No additives, preservatives or any other nasties. ? At Pro Teeth Whitening Co our aim is to provide high quality, safe and effective teeth whitening products at affordable prices. 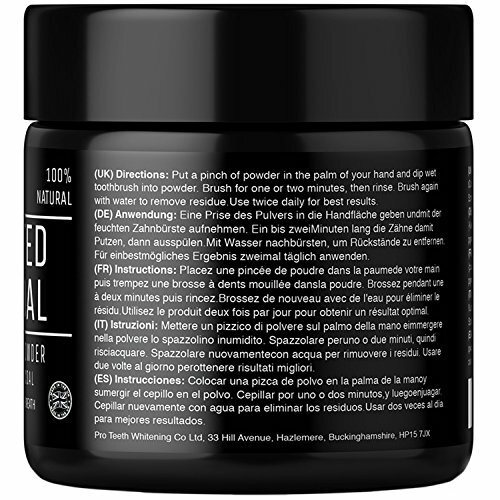 This 100% natural tooth polish removes stains and discolouration from the surface of your teeth to significantly whiten and brighten your smile. 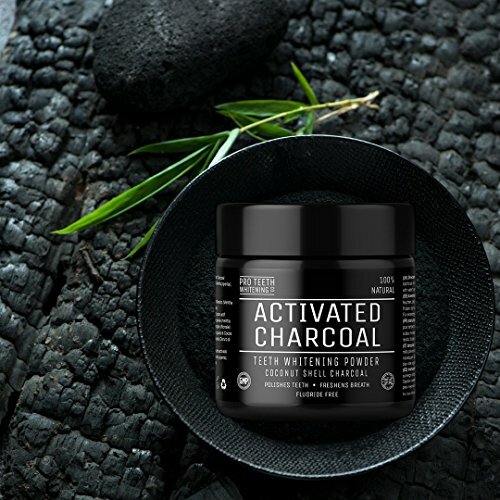 Activated charcoal is used today and has been used throughout the centuries to treat people who have accidentally ingested poison – with its porous surface, it attaches to toxins and impurities in the body to draw them out. It works in just the same way on plaque, tannins and stains on teeth – safely and efficiently lifting these off! 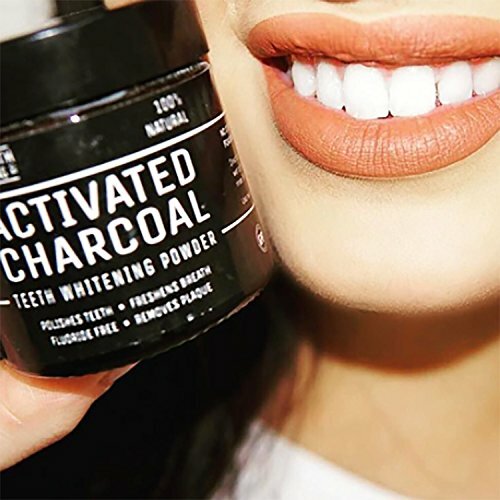 This polish is made with premium finely ground food grade activated charcoal, ideal for dental use and non-abrasive, Bentonite clay aids the charcoal’s work, absorbing heavy metals and delivering essential minerals, while organic peppermint to soothe, fight bacteria, reduce inflammation and add freshness.